Sanctuary in the Cove in Coopers Beach Doubtless Bay. 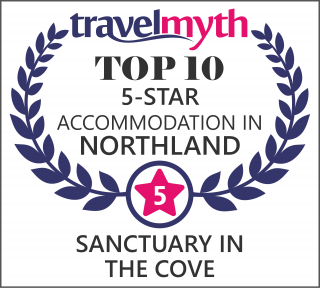 You will find Sanctuary in the Cove in surprising seclusion, between Coopers Beach and Cable Bay – two of the best beaches in Far North New Zealand. Doubtless Bay is approximately 80 kms north of Paihia and the Bay of Islands. From Auckland, take the State Highway 1 north to Whangarei. Once past Whangarei and Kawakawa, turn right onto State Highway 10 at the Paraka junction (also the turnoff for Kerikeri and Doubtless Bay). Coopers Beach is approximately 1 hour’s drive north of this junction. Air New Zealand operates daily flights from Auckland to either Kerikeri/Bay of Islands or Kaitaia. The drive from Kerikeri/Bay of Islands to Coopers Beach is 45 minutes north on State Highway 10, but if you prefer to fly to Kaitaia, the drive is 30 minutes east on the same highway. 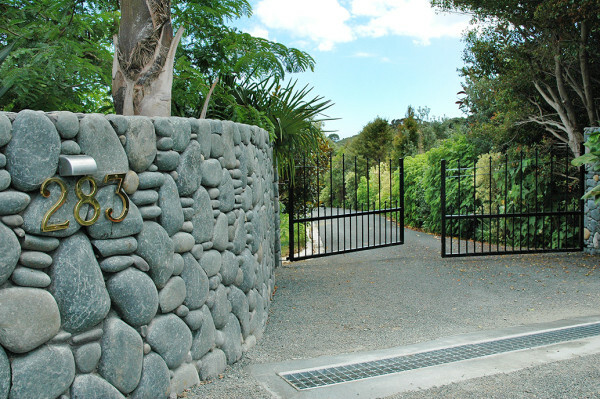 Sanctuary in the Cove is located at 283 SH10, Coopers Beach, Northland, New Zealand. We are 1 km west past the Coopers Beach shopping centre on the right hand side of the highway. There are security gates and guests contact us on the gate intercom on arrival. We have a flag flying at the entrance.